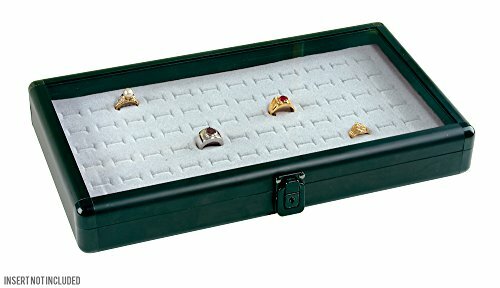 The new hexagon acrylic rotating display case is what you need to beautifully showcase your jewelry or delicate collectibles before your customers. Equipped with three shelves, this case is built from acrylic construction designed to stand the test of time for longer usage. Acrylic materials are known for versatility and durability – they’re sturdy enough to withstand damage or pressure. The three shelves could be taken in and out in order to make a single display or provide an easy access to your customer’s favorite pieces. The display case rotates for quick and convenient viewing of each item so they carefully examine the tiny details of the product. 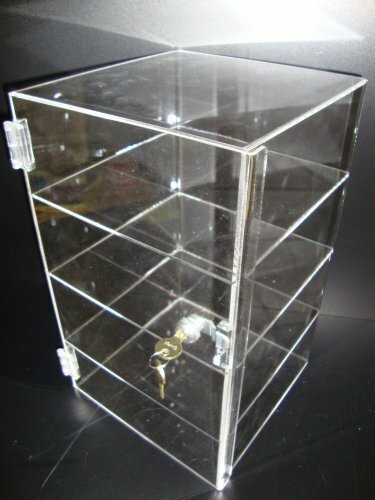 Locks and two keys of the display case ensure safety of its inner contents. 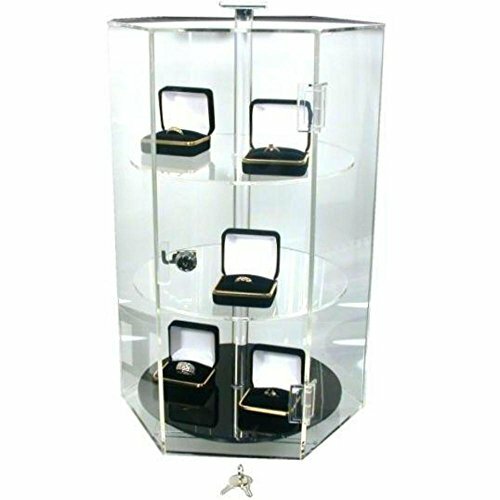 This hexagon acrylic rotating display case can be placed perfectly over the counters to create a flattering presentation of your jewelry pieces. 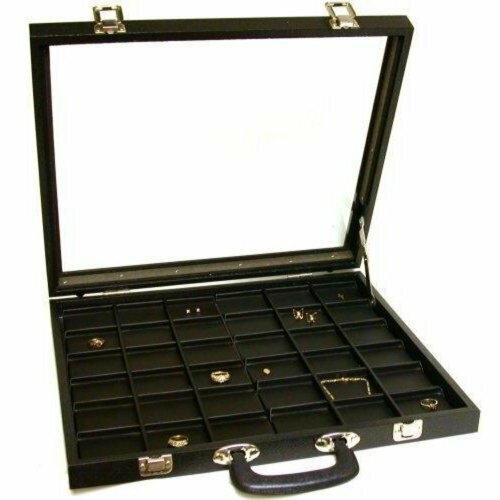 The display case measures 12″ x 18 1/4″ or 30 x 46 cm, providing your customers with optical clarity from all angles of each displayed item. The essence of using acrylic case display is to make it convenient and easy for your visitors to see what you offer. When they find your products easy to navigate, it can increase their shopping experience. 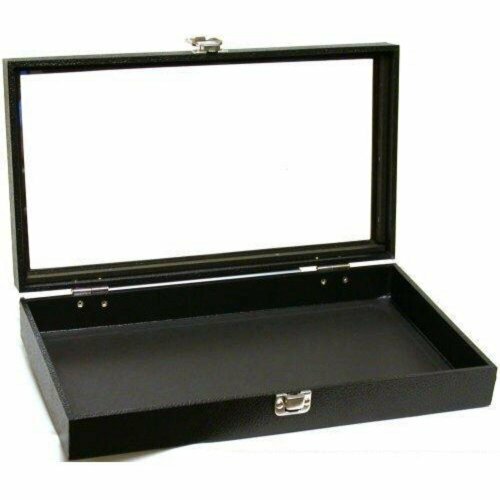 Organizing and maintaining your display case are completely easy. 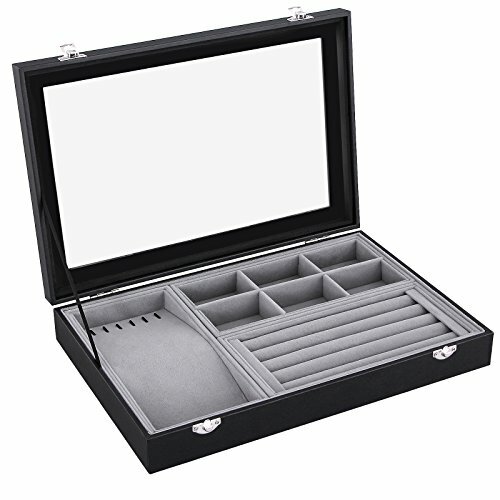 Because the case is made from acrylic construction, it keeps everything perceptible. Thumb prints and smudged won’t be left unnoticed and you can easily clean the case using non-abrasive cleaner. 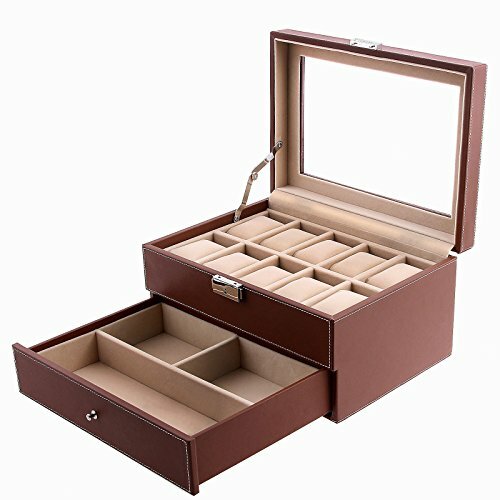 Once you place your order, you can expect to receive a fully assembled, premium rotating display case.